Knowing what title 24 impacts is a good place to start before choosing a method. According to California Code Regulations, title 24 is a list of requirements for “energy conservation, green design, construction and maintenance, fire and life safety, and accessibility.” This applies to mechanical and structural systems as well as lighting and plumbing. Having that in mind, you need to figure out the best method to assess compliance. With this method, each aspect of the building is evaluated for compliance. From which will be verified that it meets the minimum requirements. While this method isn’t the most flexible, it is the simplest. This method is a bit more complicated, but the most accurate. This method uses computer software to assess consumption in the entire building. Then, a complex formula is used to determine the most cost-effective solution. This is the method to use if you are looking to save on construction costs. There is a lot of confusion surrounding Title 24 compliance. Understanding exactly how these regulations impact your building can be a challenge. 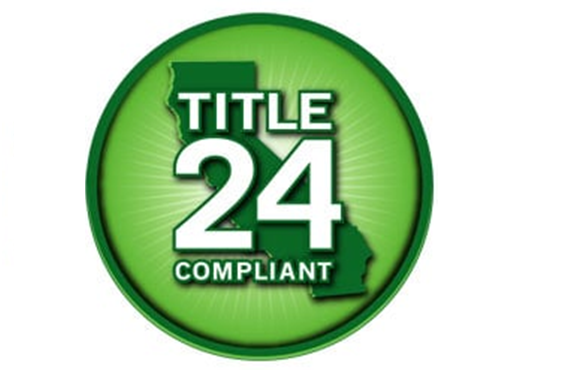 K2D are experts on title 24 compliance. Our expert MEP consultants, with accuracy and efficiency, will review your building’s design to determine whether it complies. If there is a problem, we can make corrections to ensure compliance. We will then help you acquire certification of compliance. This will allow a Certificate of Occupancy to be obtained. To learn more about the best method to attain Title 24 compliance for your buildong or schedule a consultation please contact the reputable K2D at 310.935.3773 or visit www.k2d.com.